If you are searching for summer sandals, you’re in the right place! For an excellent fit and a nice style, visiting the store can help you walk away with your ideal pair. Although shopping online offers convenience, there are several reasons to visit a shoe store. 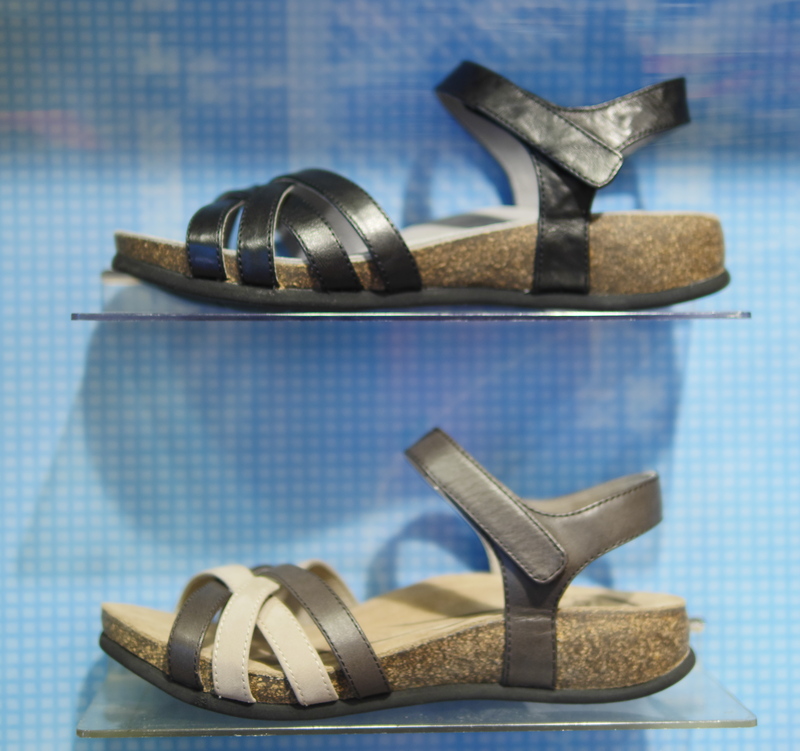 Check out why The Walking Company ABEO sandals are well worth checking out for your ideal summer pair. From beach vacations to city walks, my old sandals kept me comfortable, while also working well for everyday use. The leather upper part made them even look nice for the work place. Because the sandals worked well for all occasions, replacing them was difficult, and unfortunately, the company had stopped making them. When I posted a picture of my sandals online asking for advice on finding a similar pair, someone recommended I visit The Walking Company store and try out ABEO sandals. 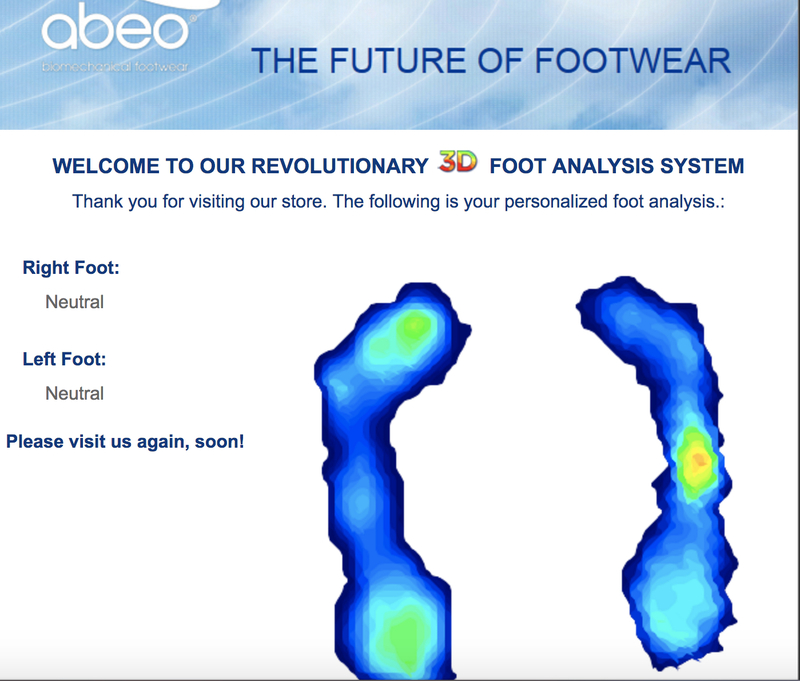 One of the benefits of going in the store was trying out The Walking Company ABEO Biomechanical Footwear Digital Technology. From walking across the device, you can determine the height of your arch. You also receive information about your balance and whether you place more weight on your left or right side. While this information can remind you of any injuries you have had, the data also helps determine which shoes are best for you. I was surprised to learn that my feet had neutral arch support because I thought my arches needed a lot of support. In the store, the manager explained that most people need arch support, and most shoes don’t offer enough support for the average person. Although I came searching for sandals, narrowing down the type I wanted was difficult! 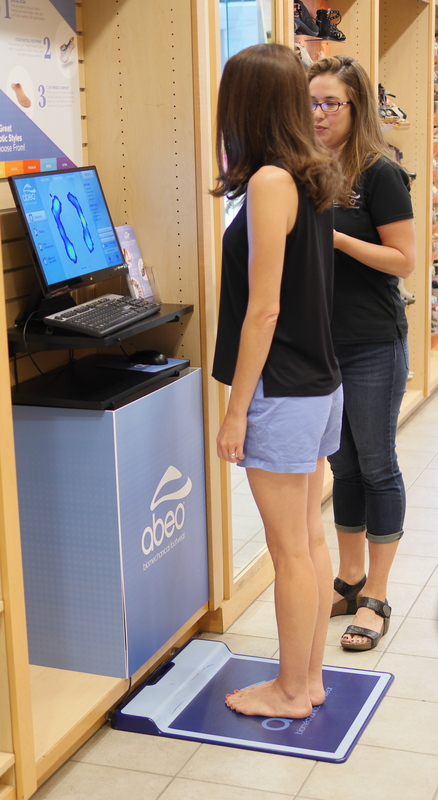 From flip flops to running shoes, every style of ABEO offered excellent comfort. The Walking Company even offered high heel ABEO sandals perfect for the work place. Visiting the store means that you can try on each style. Not only does trying on the shoes help you find the perfect fit, but it also means that you can see what the material is like in person. Walking by each pair, you can see which pair catches your attention, and you can get feedback before making a purchase. Since I wanted shoes that had a nice leather upper, I decided on the Bridgette style. You can get the Bridgette shoes in either a neutral footbed (with an average arch support), metatarsal pad footbed (with enhanced arch support for high arches), and posted heel footbed (for low arches and flat feet). Not only does the Bridgette style come in black, but you can also get it in a nice neutral brown. Both pairs work well for summer and can transition into the fall when you wear them with work slacks, skirts, and dresses. One of the best parts about shopping in the store is walking away with shoes that you love. With the in-store digital technology and the manager’s advice, I quickly discovered my ideal pair of summer sandals. 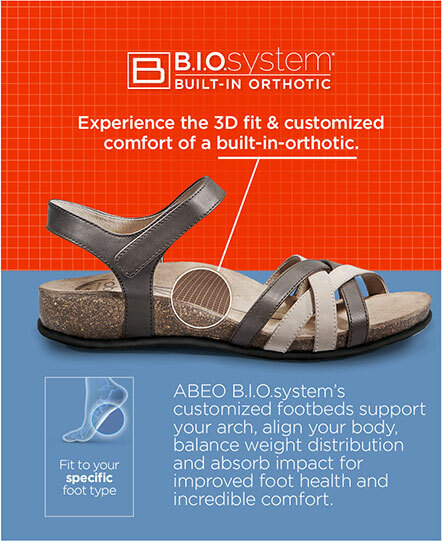 If you’re looking for a great fitting pair of summer sandals, check out the ABEO sandals at The Walking Company. For more summer style tips, follow Theresa’s Reviews on Facebook, Twitter, Instagram, Pinterest, and Youtube. Disclosure: I received a free item, but it in no way way influenced my opinion. That is such a cool technology! And it sounds like you had wonderful store experience. I would love to check them out! I love finding shoes better formed to your feet. When I worked at a running room I was taught how to visually see how people step, it’s super interesting the way feet are built. Love this store. I saw it in the mall and walked into it impulsively and I’m glad that I did. I bought the comfiest shoes ever. I have never heard of this company before but they seem amazing. Finding a great pair of shoes and comfortable ones at that can be difficult. This is actually super cool! I don’t wear sandals, but if I need to, I would definitely go for something with more support for my arches. Customizable footwear + the technology, I hope this becomes a trend! What a great way to find a shoe that’s actually good for your feet. We are always on the go and I know I should be wearing tennies but just don’t. This looks like a great alternative! These look like a great option for shoe buying! I definitely have a lot of problems with my feet, and never thought to try something like this. I will definitely be making a trip to the Walking Company to try this out! This sounds like an amazing place to purchase shoes! I used to be into Target shoes till I started having feet problems, good shoes are soooo worth the extra money!